ARG Worldwide Sourcing, LLC – Apparel, headwear, supplies and more! Apparel, headwear, supplies and more! Through our Global offices, strategically located in the United States, China, India and Pakistan; ARG Worldwide, LLC provides sourcing and manufacturing capabilities in 17 countries worldwide. ARG Worldwide, LLC works with some of the most recognizable brands in the world. 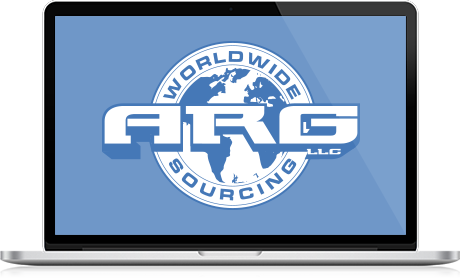 From start-ups, to Fortune 500 firms, ARG Worldwide, LLC provides strategic sourcing and production capabilities to clients of every size. Get in touch with ARG Worldwide, LLC today to learn how we can support your manufacturing needs. ARG Worldwide, LLC is a U.S. based global supply chain management company, committed to achieving the highest standard of service when meeting the needs of our client base through sourcing, consulting, competitive pricing, quality, reliable delivery and communication excellence. We work through importers and wholesalers, supplying a one-stop-shop solution to meet every client’s specific need. From raw material and product sourcing to production management, quality control and logistics, our team is dedicated to client satisfaction. ARG Worldwide, LLC is committed to the highest level of operational standards, conducting its business with integrity and good corporate practices. Our three decades of experience and professionalism have earned ARG Worldwide, LLC its reputation as a leading consumer goods sourcing and management company. Through our seven strategically placed offices worldwide, and a growing network of suppliers in 17 countries; ARG Worldwide, LLC strives to find quality conscious, compliant and cost effective manufacturing partners to meet the production needs of our expanding client base.